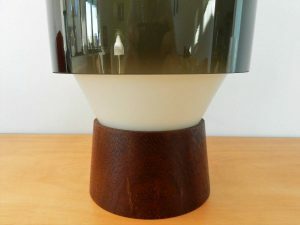 Stunning table lamp designed by Viktor Berndt for Flygsfors. 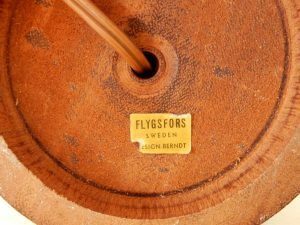 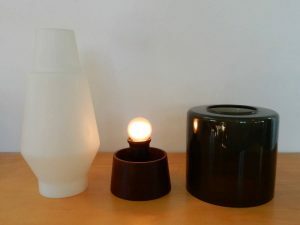 The lamp is labeled at the bottom: 'Flygsfors Sweden, design Berndt'. 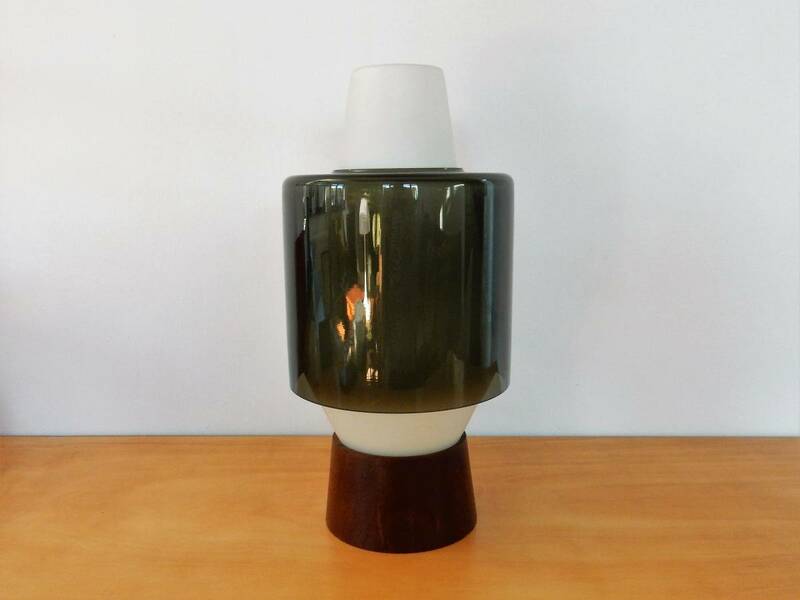 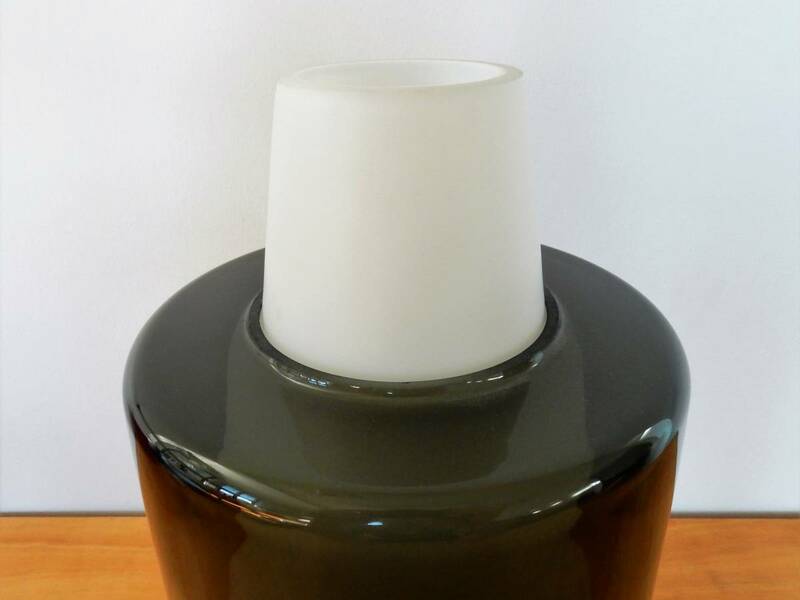 The lamp is made of a teak base with a white opaline glass and a grey smokey glass shade. The combination of design and use of materials are giving this item its modern look and feel. 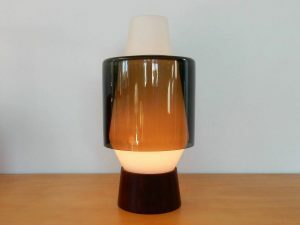 It is a lamp in the style of Tapio Wirkkala. 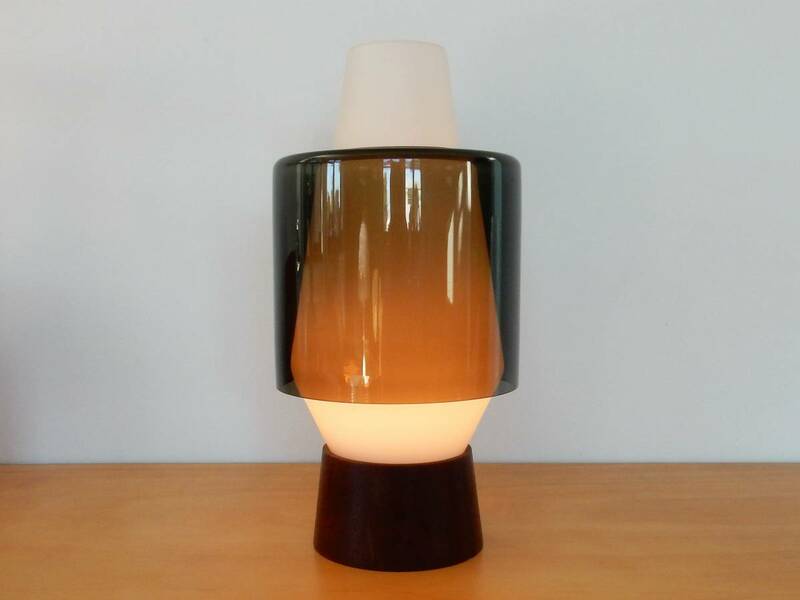 The lamp is in a very good condition with only minor signs of age and use.